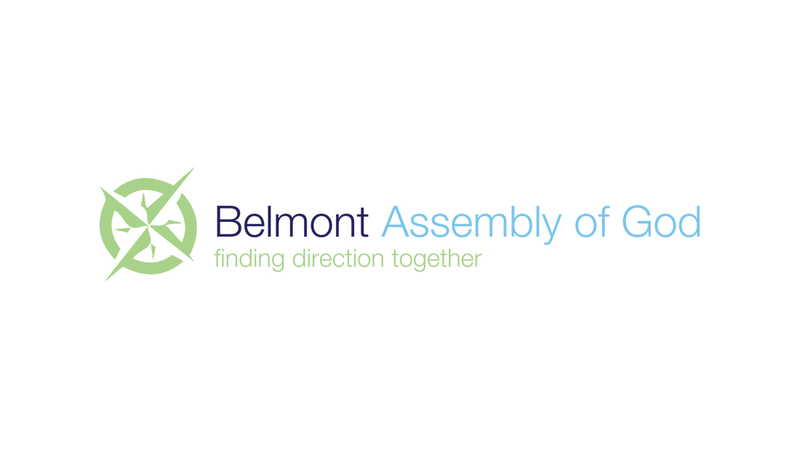 Belmont Assembly of God is a church in Chicago, dedicated to helping people ‘Find Direction’ for life through faith in Jesus Christ, and through serving both church and community. The Leadership Team was confident in their calling and mission, but not in their message. The overall messaging to both the church and community was unclear. Through research and multiple conversations with the Leadership Team, we were able to discern a few foundational elements of this particular church and congregation that were unique and would become the building blocks for a new brand. 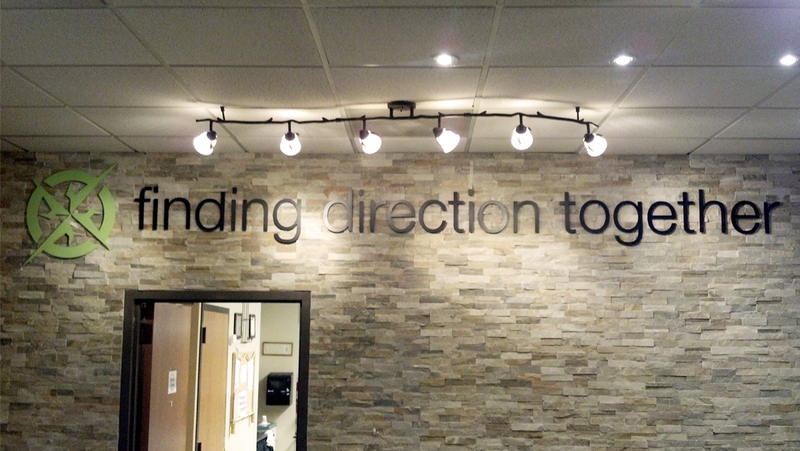 We presented several branding directions to the Leadership Team, including logo and tagline options, and unanimously their team settled on “Finding Direction Together.” Following a community-based, not top-down approach to teaching and discipleship, this message aligned with their calling and mission as a church. 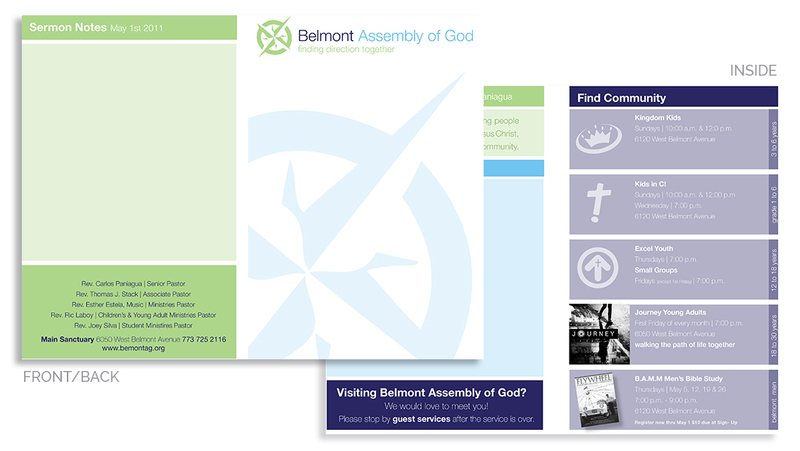 “The process of working with Luminate Marketing provided Belmont Assembly of God the means to thoroughly consider our core values and core purpose as a church ministry. 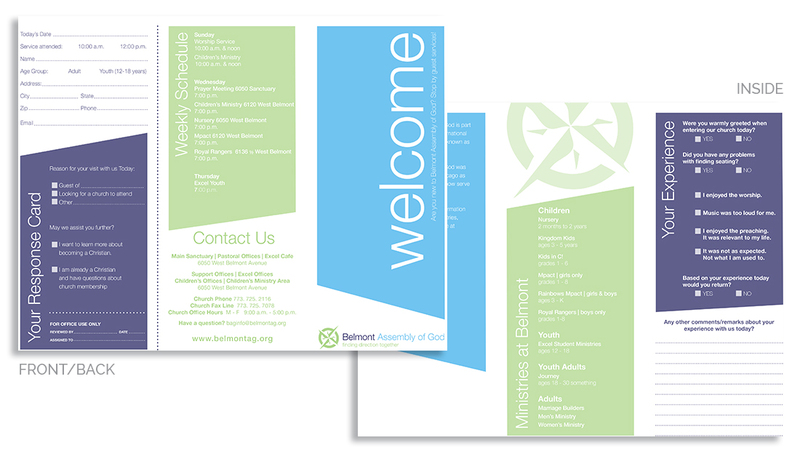 The collaborative benefits helped Belmont gain a new realization of its brand identity; a brand identity that was successfully transferred into both meaningful symbolism and an easy to communicate tag line. 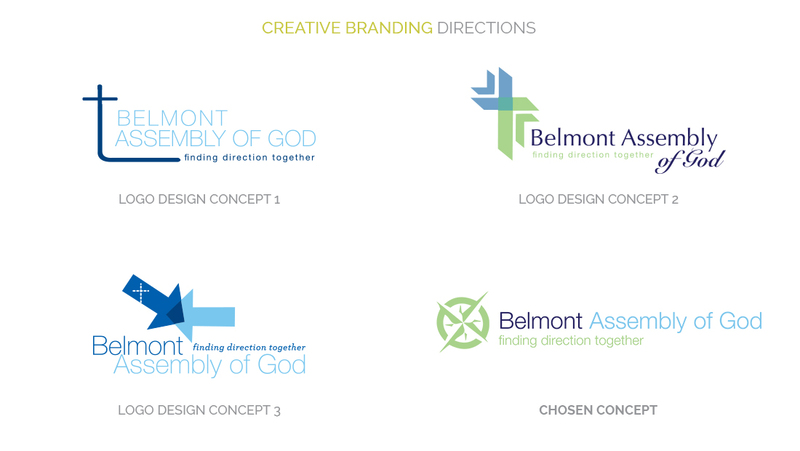 Upon development of icon concepts by the Luminate team and presentation of the artistic results in tandem with the tag line, Belmont Assembly of God was able to achieve a clear consensus among its responsible leadership the new direction Belmont should move towards in developing and launching a new brand identity. 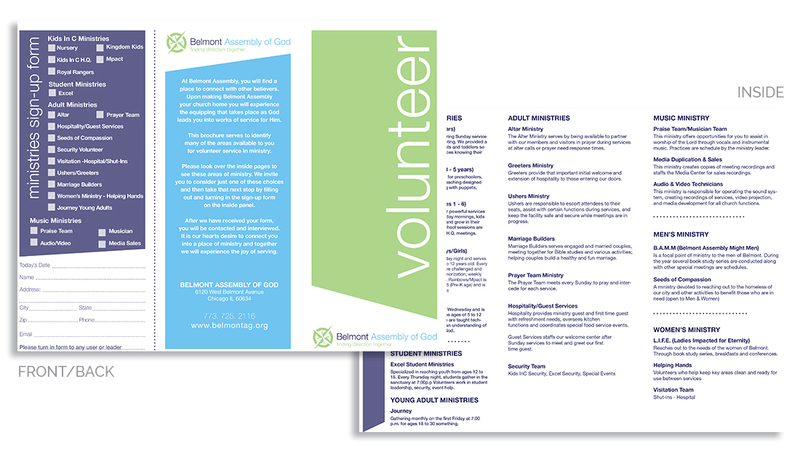 As a result of the valuable creative marketing strength delivered to us by Luminate, Belmont Assembly of God was able to introduce a comprehensive update to all areas of its internal and external branding. Luminate Marketing was able to provide critical development assistance for our web site, graphics, brochure development, signage and numerous other brand channels. 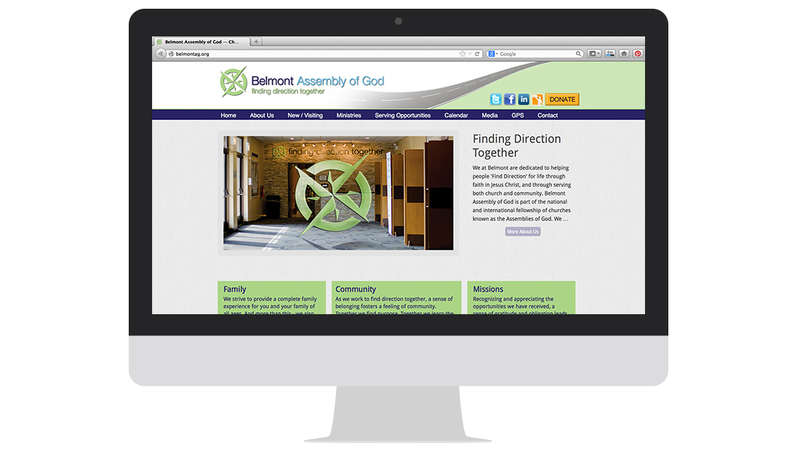 Through both our internal launch of the new brand and periodic on-going reminders of who we are and what are brand is; the membership, ministries and all who come in contact with Belmont through attendance, the internet, social media have fully embraced the message our brand conveys. We have benefited in so many ways in looking back from the beginning of the effort to the present day.